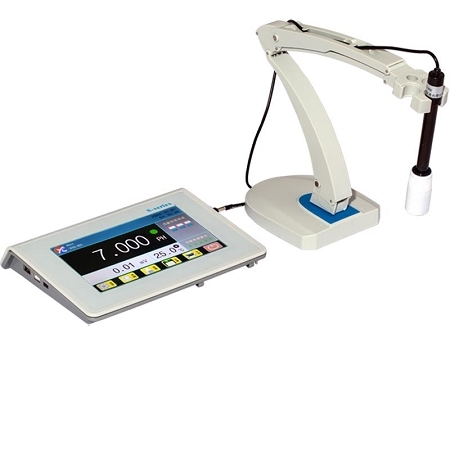 The instrument is equipped with large LCD touch screen and English operation system for easy use. The instrument can recognize 13 types of pH standard buffers automatically. There are USA, NIST and CH series of standard buffer solution for option.Custom solution calibration. The data can be stored, deleted, printed and viewed, and the quantity of measuring data can be maximized to 200 sets. It has standard USB interface.To match with data collecting software, it can be communicated with computer.